Sealing an 'annus mirabilis' for e-readers? The Queen's traditional Christmas speech will be available to download as a free ebook from the Kindle store this year for the first time. The upcoming Christmas Day broadcast will be available as a transcript for anyone with a Kindle device or app after the speech is made. Plus, Amazon is offering all 59 of the previous speeches from Her Majesty, including the famous 'annus horribilis' speech in 1992. "Millions of people across the UK, and the world, wait with anticipation to hear The Queen's Christmas Broadcast and we're delighted to be able to make transcripts of Her Majesty's annual addresses, past and present, available to download for free in less than 60 seconds," said Gordon Willoughby, Director, Kindle EU. 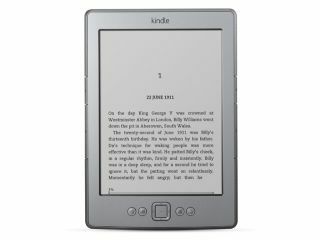 "Many people will be unwrapping Kindles on Christmas Day and now Kindle readers, new and old, will be able to read The Queen's words for years to come." The Queen has long been an early adopter of technology, sending her first email in March 1976 and having more than quarter of a million followers on the official British Monarchy twitter feed.